We left Keystone around 8:45am and it was 45 and raining. Within 10 minutes, it was snowing and 32 degrees. It snowed through South Dakota and a little in Wyoming. I never expected it to be literally freezing in mid-May. We were on state roads going through tiny towns for most of our trip, so we didn’t eat until 1:00. We found a little restaurant in Wheatland, Wyoming. We finally arrived in Denver just in time for rush hour. I could see Invesco Field through the traffic. Besides obviously being excited for the start of the U2 tour in the US, I’m excited to be in Denver because I’m a huge Broncos fan! 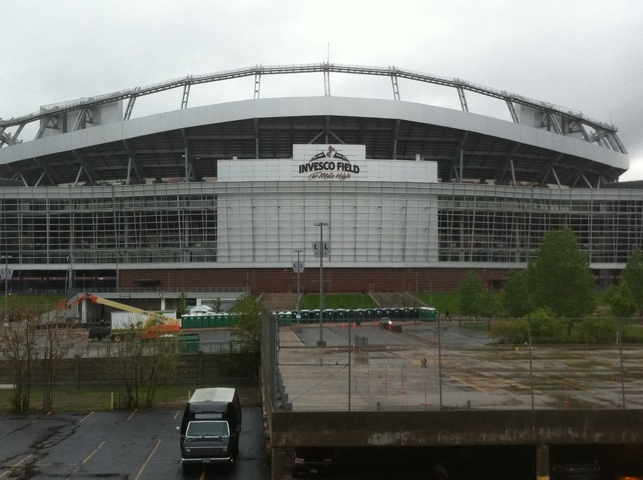 From my hotel room, I can see Invesco Field at Mile High. In fact, I can hear everything at the stadium from my room. The techs were soundchecking. 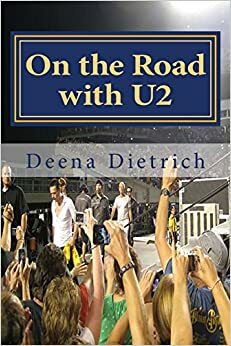 When I arrived, I heard the pre show music from U2’s Red Rocks show. Then I heard Zooropa, Even Better Than The Real Thing, City of Blinding Lights, Streets and a few others. Less than 48 hours until they LET ME IN THE SOUND!! !